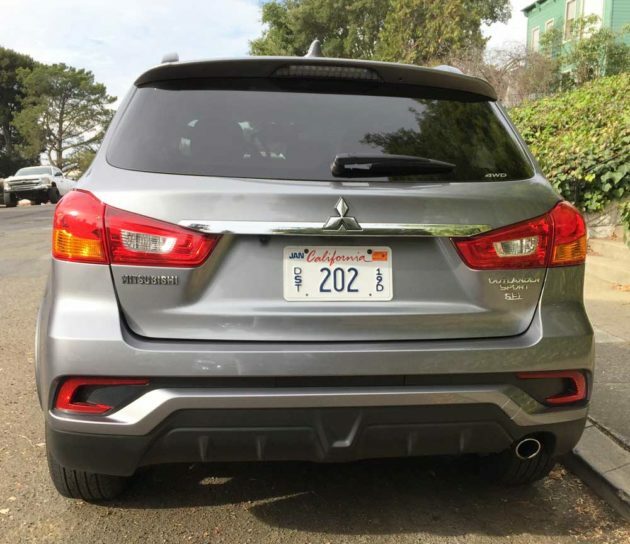 Mitsubishi has eliminated several once popular vehicles from their inventory devoting their primary focus on maintaining a competitive position with their Mitsubishi Outlander and Mitsubishi Outlander Sport SUVs. There are two engines, two transmissions and two drive configurations to be found in six specific models including two ES trim models, two SE models and two SEL models. ES models are available in 2WD or All Wheel Control, powered by a 2.0-liter MIVEV, DOHC, 16-valve inline 4-cylinder engine connected to a five-speed manual gearbox as standard or optionally to an INVECS-III CVT Sportronic? transmission featuring paddle shifters. SE models are also available in either drive configuration but are powered by a 2.4-liter MIVEC, DOHC, 16-valve inline 4-cylinder connected only to the INVECS-III CVT Sportronic? automatic featuring paddle shifters. SEL models draw their motive force from the 2.4-liter motor mated to the CVT Sportronic? transmission, delivering energy to either the front wheels or via All Wheel Control. The 2.0-liter produces 148 horsepower at 6,000 rpm along with 145 pound feet of torque at 4,200 rpm. The 2.4-liter four-banger makes 168 ponies at 6,000 rpm while developing 167 pound feet of torque at 4,100 rpm. All Outlanders fall into the premium compact SUV category, and the 2018 family of Outlanders steps up to a higher level of sophistication, with better quality, improved driving dynamicism, technological advancements and more efficient operation. 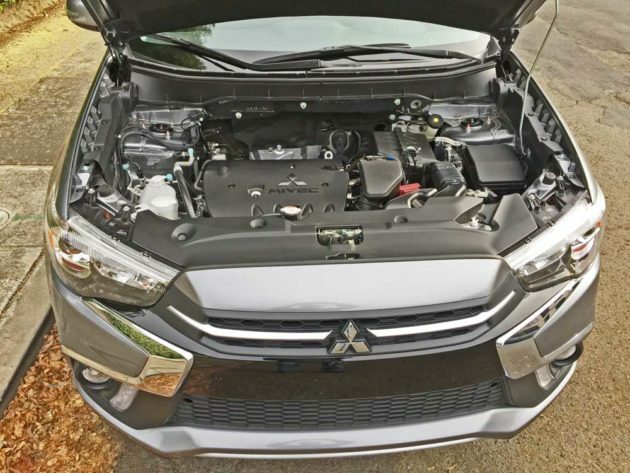 The Outlander Sport is Mitsubishi?s top-selling model, offering both reliability and affordability. 2018 models arrive with new exterior and interior enhancements, and the addition of a new optional Touring Package. The 2018 Outlander Sport serves up a new exterior look with an innovative front and rear bumper design and LED running lights, while the interior receives a 7 inch Smartphone Link display audio system with Apple CarPlay? and Android Auto?, a newly designed floor console and a new shift lever. The optional Touring Package comes with a panoramic roof and advanced safety and technology features including Forward Collision Mitigation Lane Departure Warning, Automatic High Beam, a rear camera and improvements to noise vibration and harshness that contribute to a quieter ride. There?s also a 710w Rockford Fosgate? Premium Audio System. Last year?s interior enhancements included: a knit headliner and pillars, new contrast stitching on the instrument cluster cover and new cloth seat contrast seat stitching, a new chrome logo, a new steering wheel accent, new cloth sat fabric and additional center console padding. There was also a new auto headrest fold function, along with a new auto flip-up seat cushion. All trims come with FWD as the standard drive configuration, with Mitsubishi?s electronically controlled All-Wheel Control (AWC) system optionally available. The AWC system provides four operational modes for optimization of driving efficiency: AWC ECO, Normal, Snow and Lock. 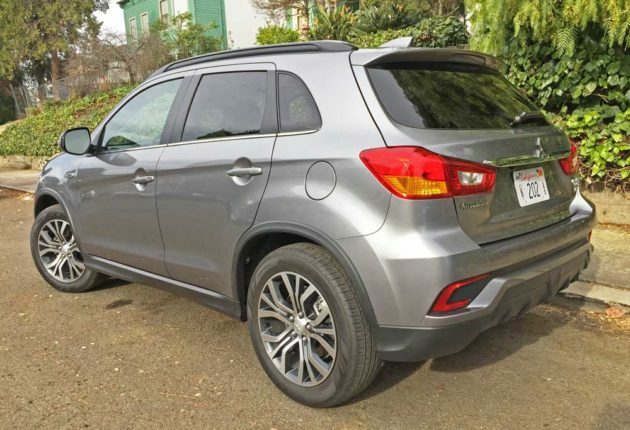 My test 2018 Mitsubishi Outlander Sport was in SEL trim with All Wheel Control, powered by the 2.4- liter engine geared through the CVT Sportronic? automatic. The exterior finish was Mercury Gray metallic with the interior executed in Black. The base sticker was set at $25,895. 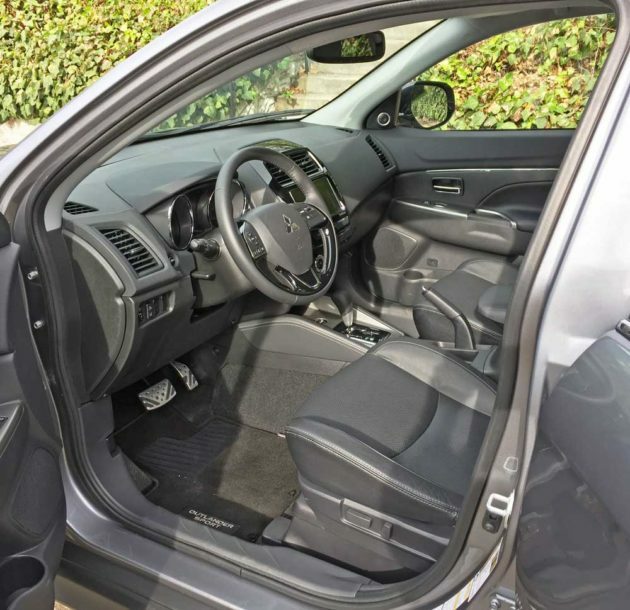 The final tally came to $29,110 after adding the Touring Package, Accessory tonneau cover and carpeted floor mats and Portfolio and Destination and Delivery Charge. 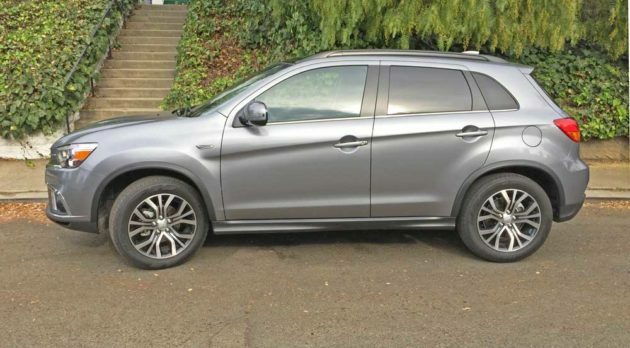 SUMMARY: The 2018 Mitsubishi Outlander Sport 2.4 SEL AWC is a visually appealing and sporty crossover SUV with enhanced styling and design elements. My SEL version featured a lengthy list of standard features and equipment, with more than enough power to accomplish virtually any assigned task, delivering plenty of zip off the line. Shifting gears could be accomplished automatically or via magnesium steering wheel mounted paddles. The Outlander Sport manages to blend pleasing driving dynamics with rugged good looks, functionality and versatility. It’s not only comfortable, but agile as well. Four-wheel drive versions may be operated “on-the-fly” via a simple control knob. The folding and reconfiguration of seating has been greatly simplified for optimum user friendliness. The second row is in a 60/40 split that folds flat. The My MITSUBISHI CONNECT app is available on both Android and Apple devices. Once downloaded and registered, users may access both MITSUBISHI CONNECT Safeguard and Remote services from their mobile device. Additionally, MITSUBISHI CONNECT can be paired with both Amazon Alexa-enabled devices, and the Google Assistant on eligible Android phones, iPhones and Google Home?. 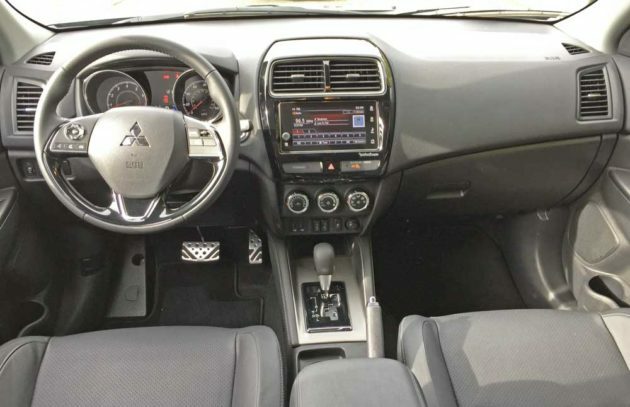 The Safeguard services package within MITSUBISHI CONNECT includes Automatic Collision Notification, SOS Emergency Assistance, Information Assistance, Roadside Assistance, Stolen Vehicle Assistance, Alarm Notification and Mileage Tracker. The Remote services package includes Remote Climate Control, Remote Door Lock/Unlock, Remote Horn, Remote Lights, Car Finder, Vehicle Settings, and Parental Controls (Geo Fence, Speed Alert and Curfew Alert). Fortunately, the Outlander Sport is attainable for a wide range of consumers thanks to its broad price range across the model lineup. 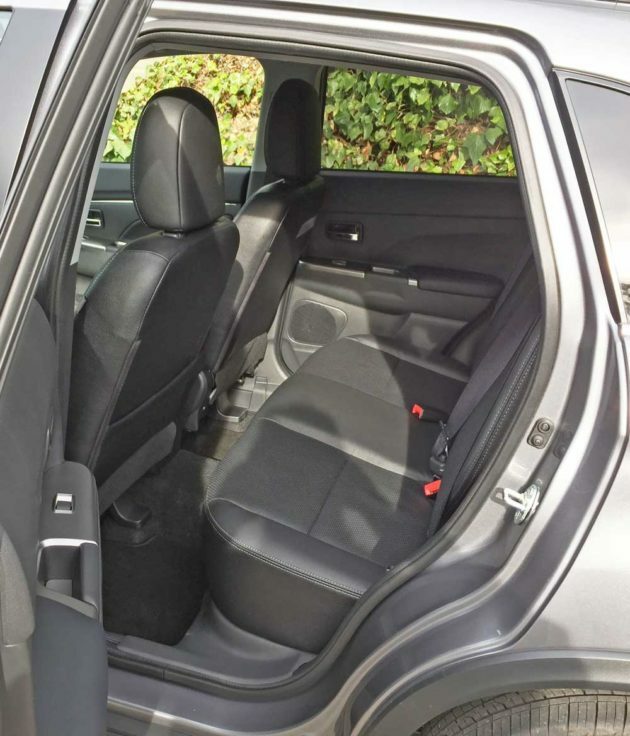 The available optional features are also reasonably priced, allowing consumers to personally equip their selected Outlander Sport model to best fulfill their requirements and desires. Should you happen to feel the need for a larger crossover, the Outlander delivers more features in a bigger, yet still quite manageable package. 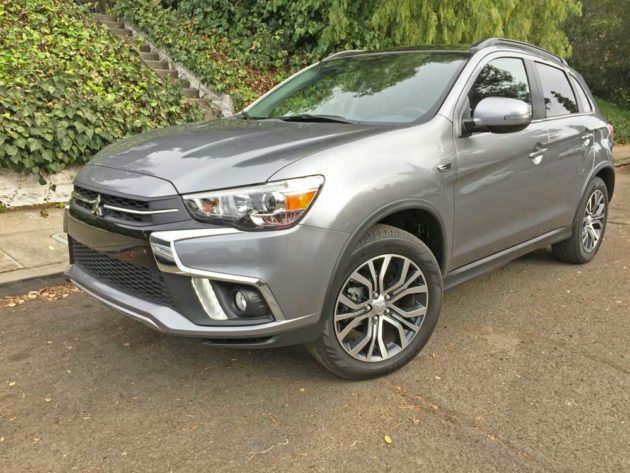 The 2018 Mitsubishi Outlander Sport comes with a generous warranty program including a 10-year/100,000 mile powertrain limited warranty and a 7-year/100,000 mile anti corrosion/perforation limited warranty. 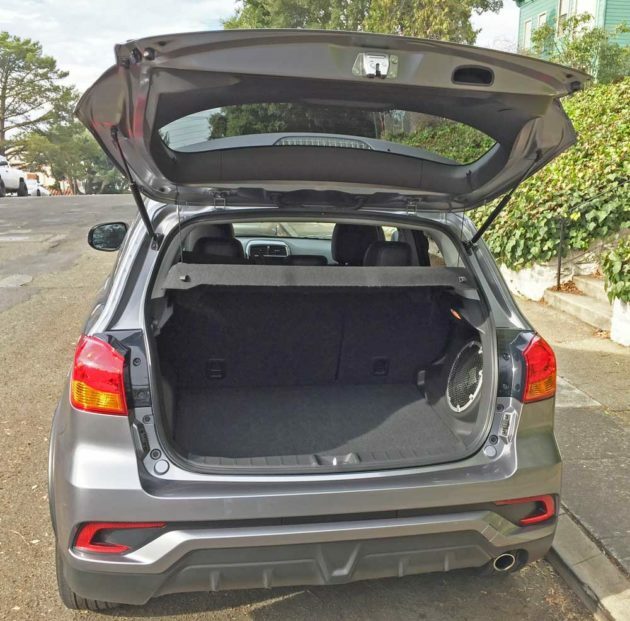 So, if you?re shopping for a premium compact crossover, the 2018 Mitsubishi Outlander Sport is definitely worthy of serious consideration. Transmission: INVECS-III CVT Sportronic? automatic. Brakes: Power-assisted four-wheel discs (vented front), ABS, EBD, and BA. 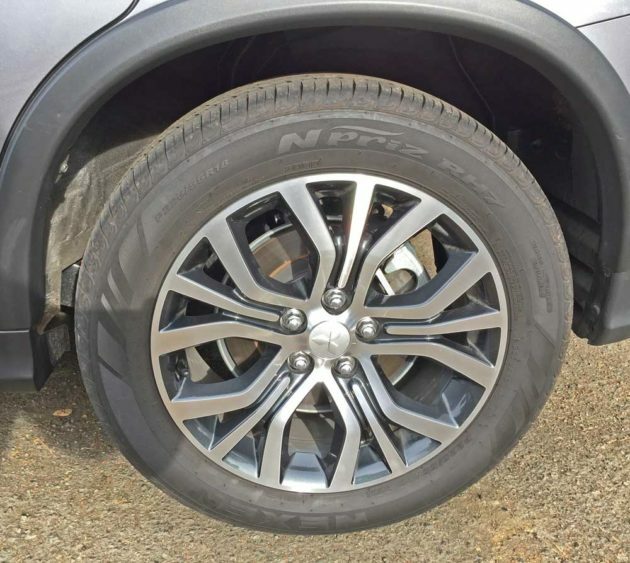 Tires: Nexen N Priz RH7 P225/55 R18 97H mounted on 5 tri-spoke (?U?with 5 separator spokes) ? machine face outer/painted inner.